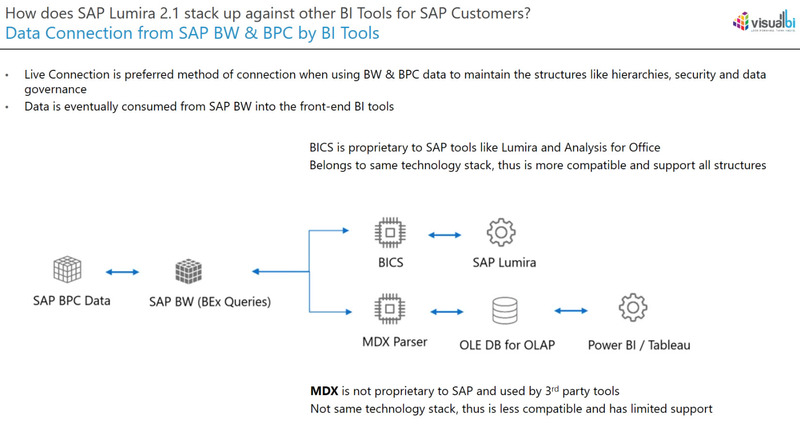 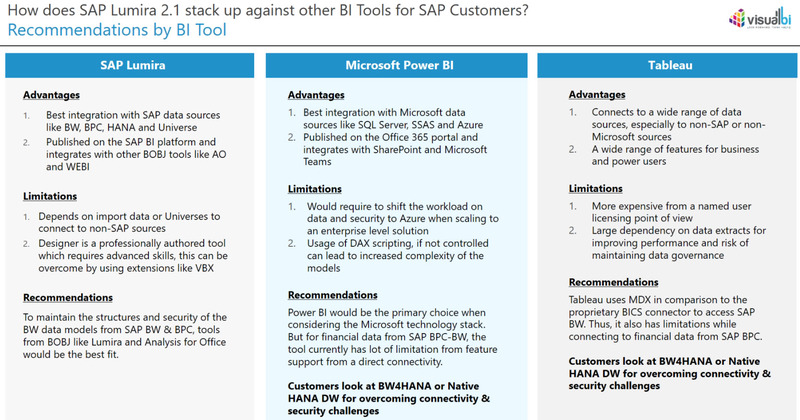 This was a Visual BI Webcast today. 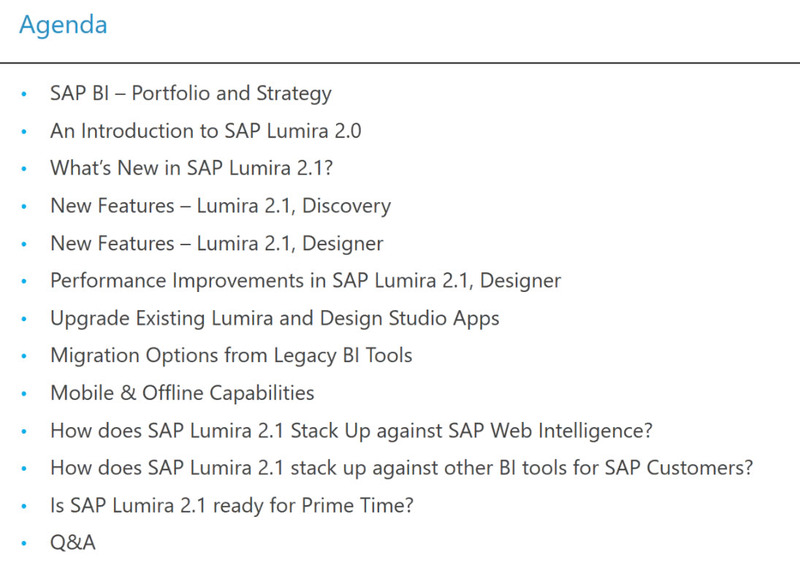 Below are my rough notes. 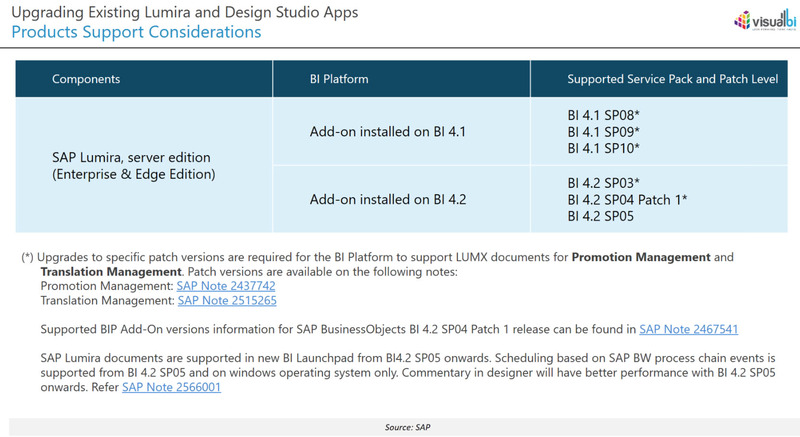 I learned much more about 2.1 features below as well. 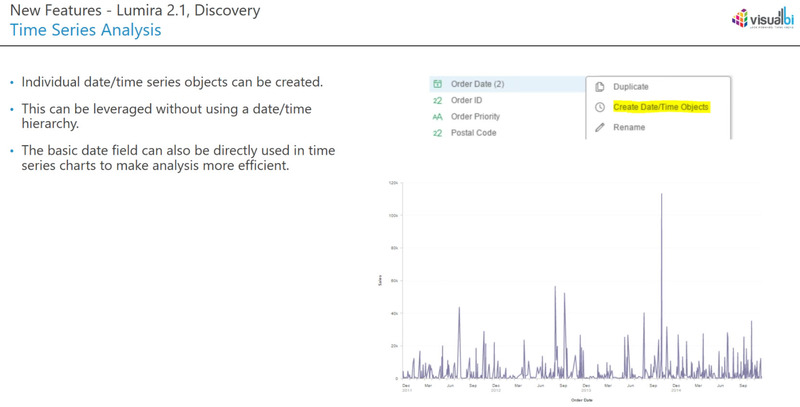 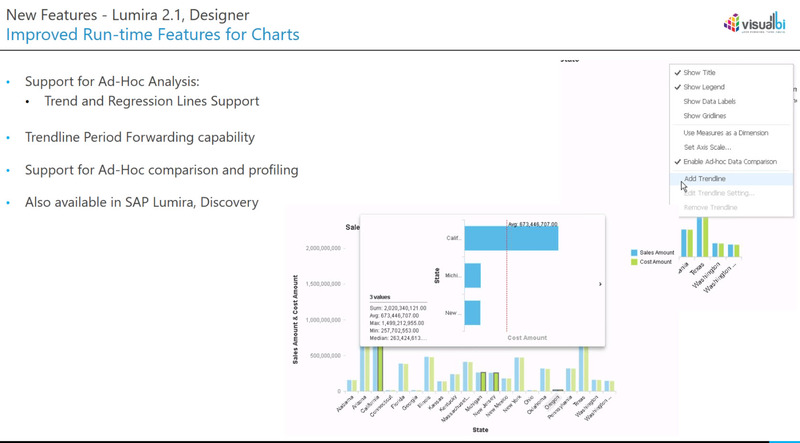 Linked Analysis, extend across multiple pages, making it more interactive. 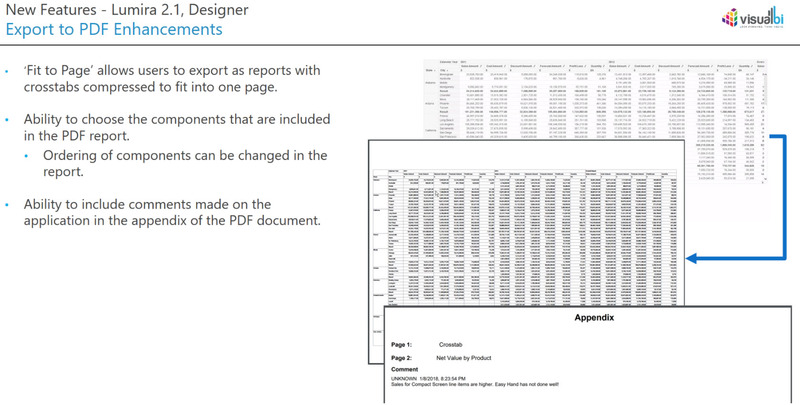 Fit to page feature is available in export to PDF. 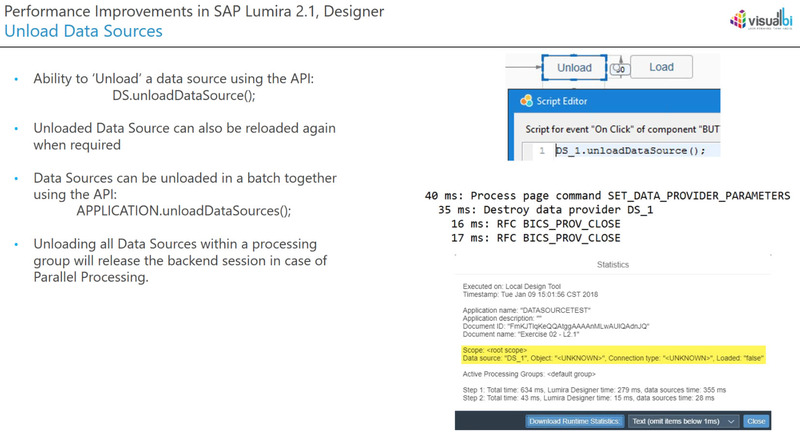 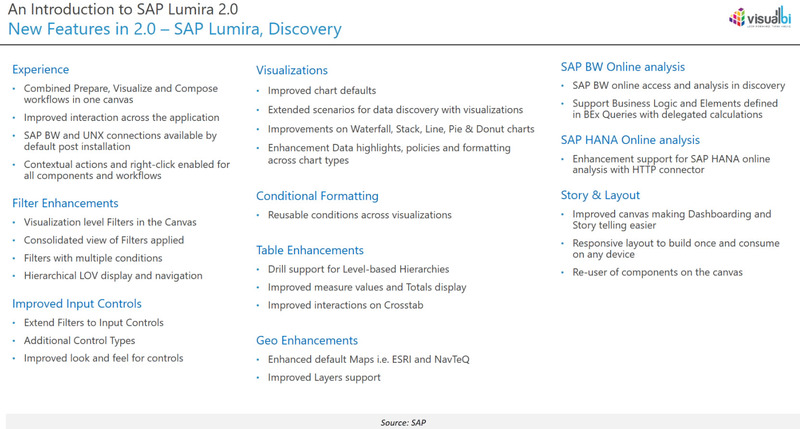 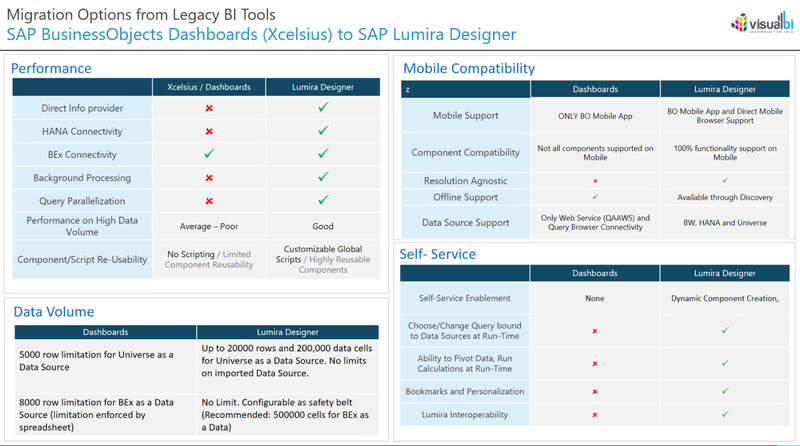 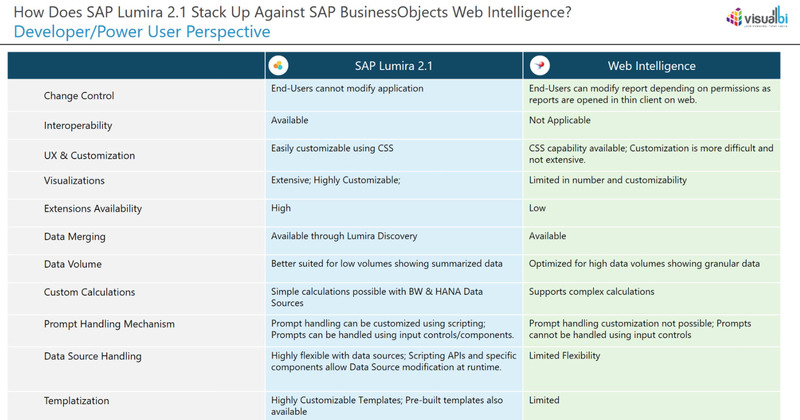 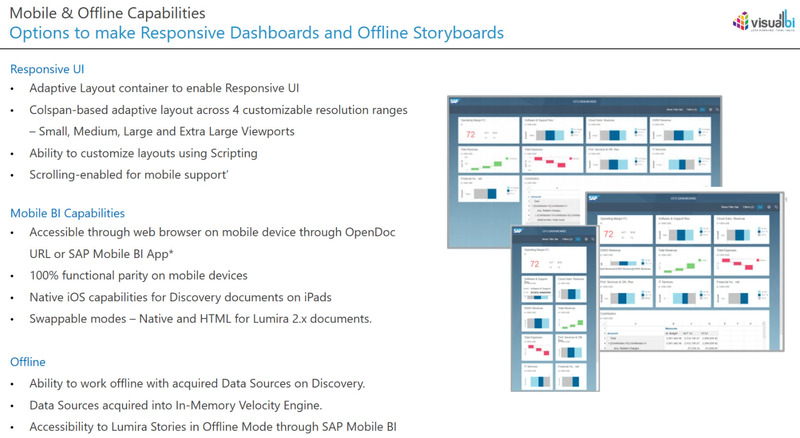 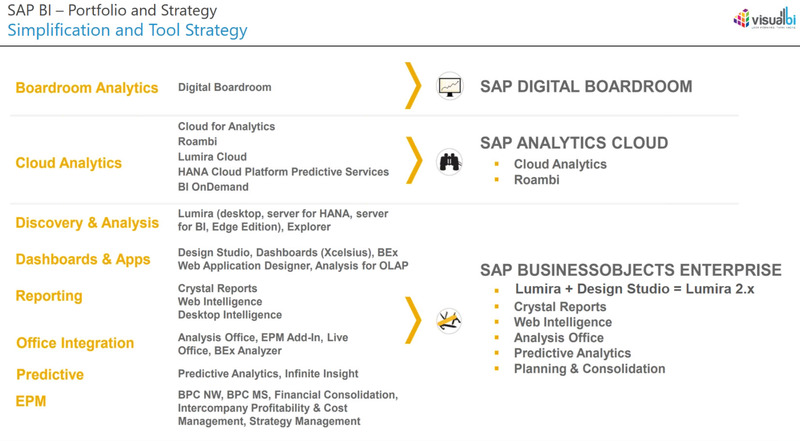 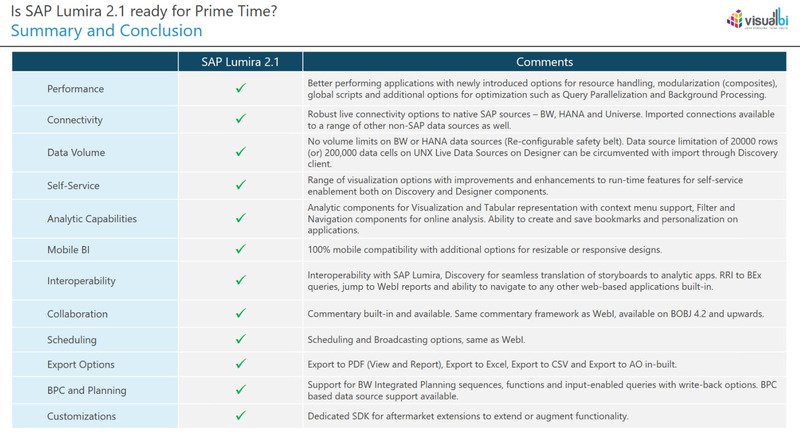 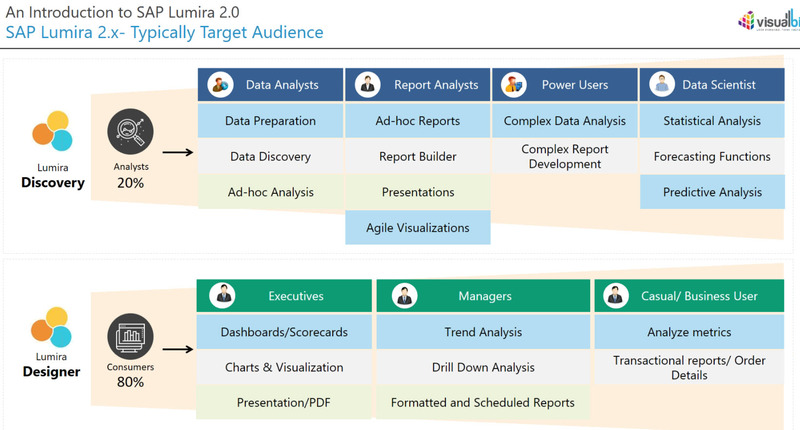 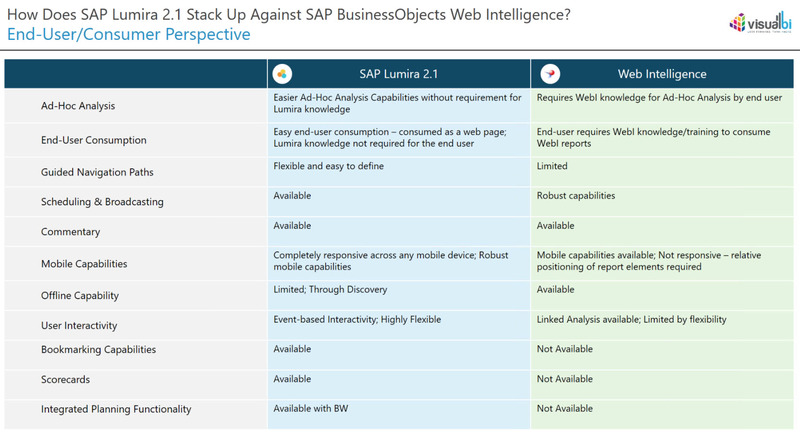 Is SAP Lumira 2.1 Ready for Prime Time? 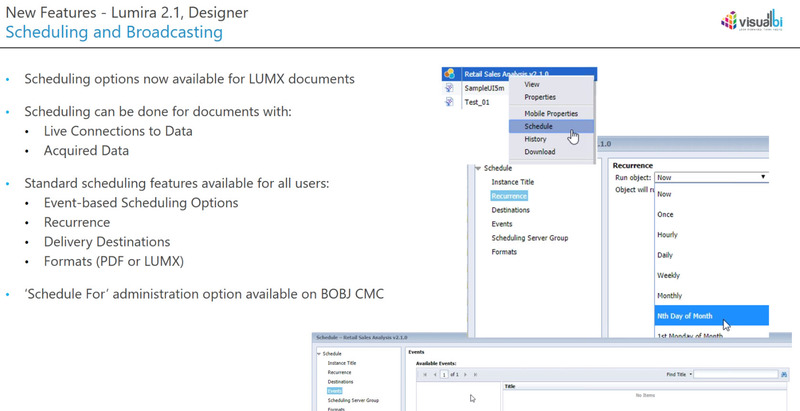 Q: Can you schedule export to PDF? 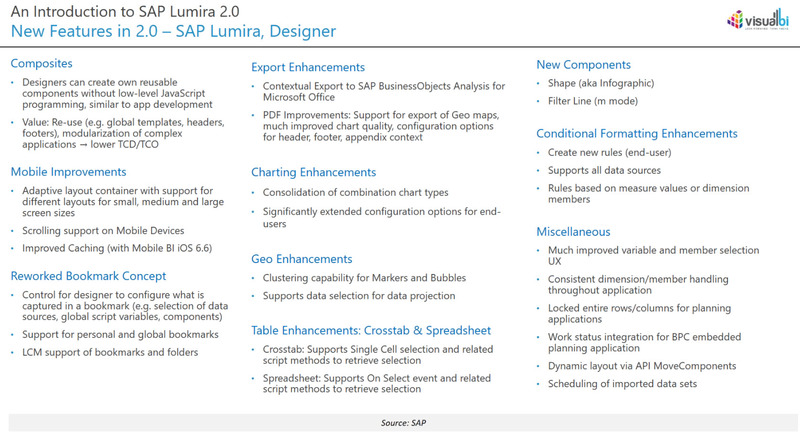 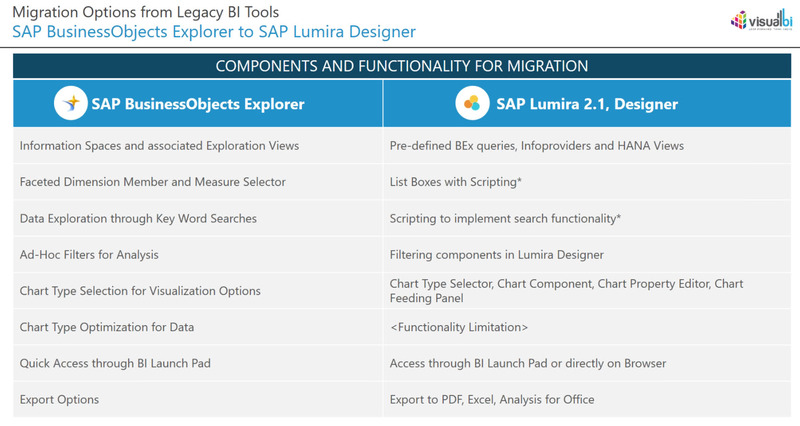 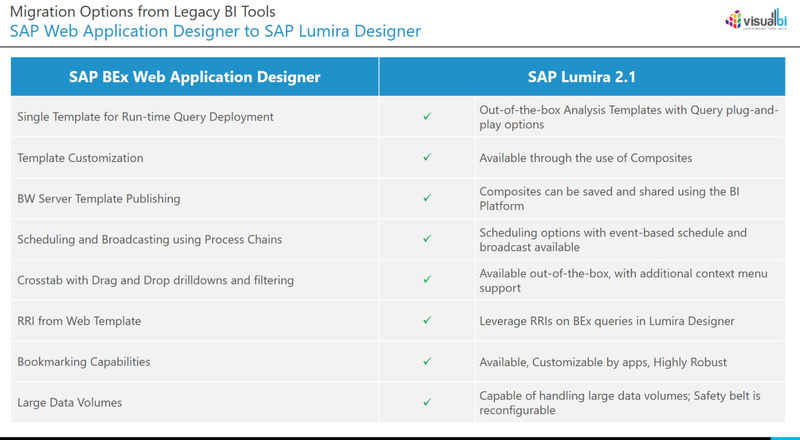 January 31 webcast – register What’s New in Lumira Designer 2.1? 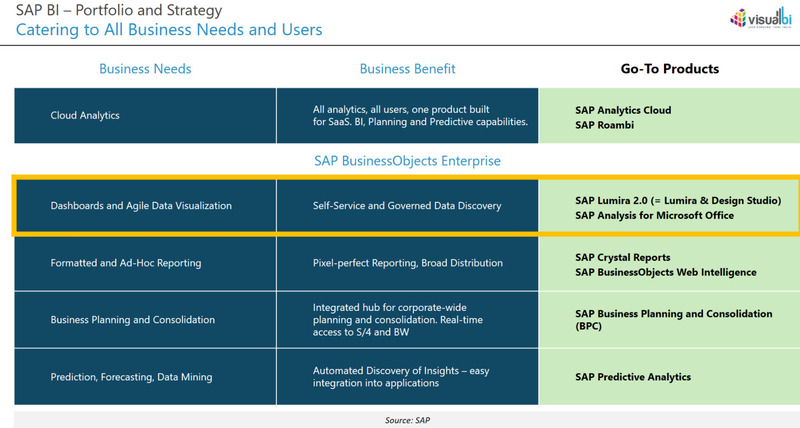 Great article indeed. 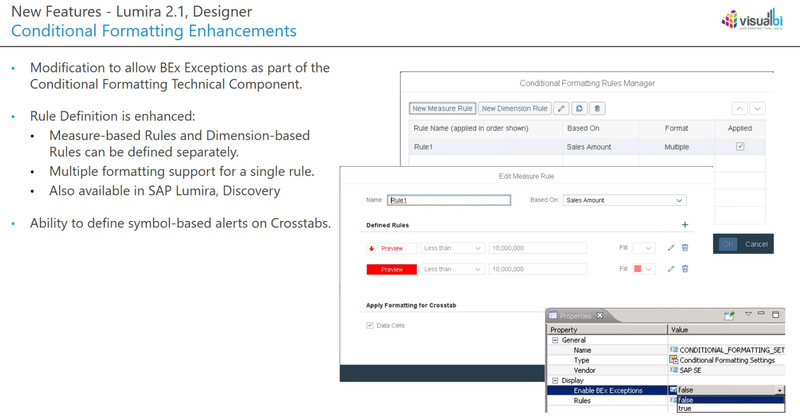 I would appreciate if you can let me know a bit on filtering options. 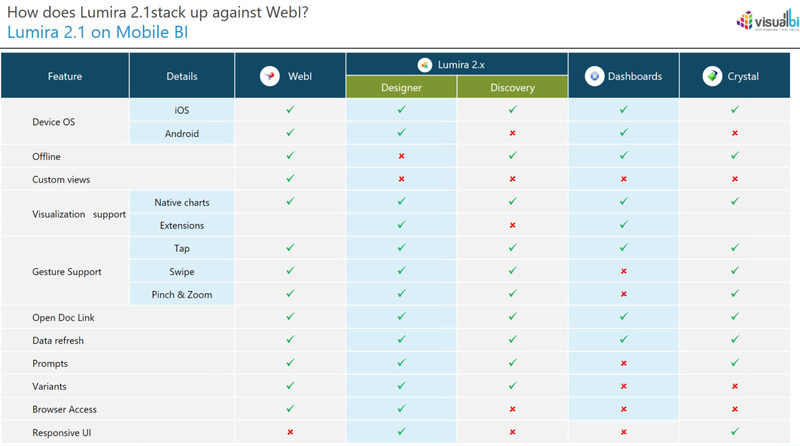 Does it support ssl certificates? 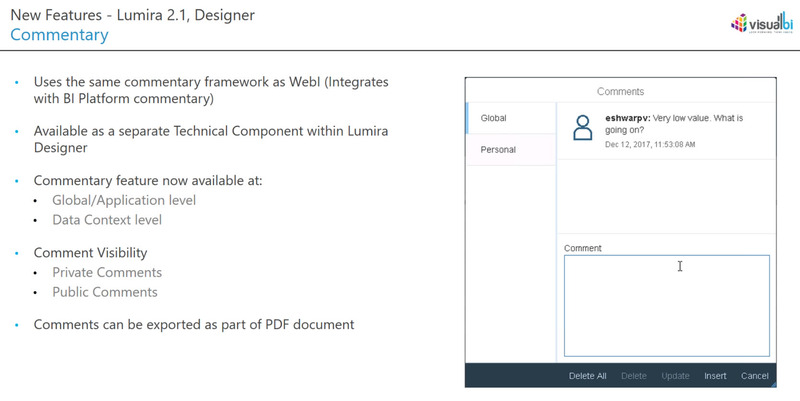 Hi Tammy, could you share the URL for WebInar recording? 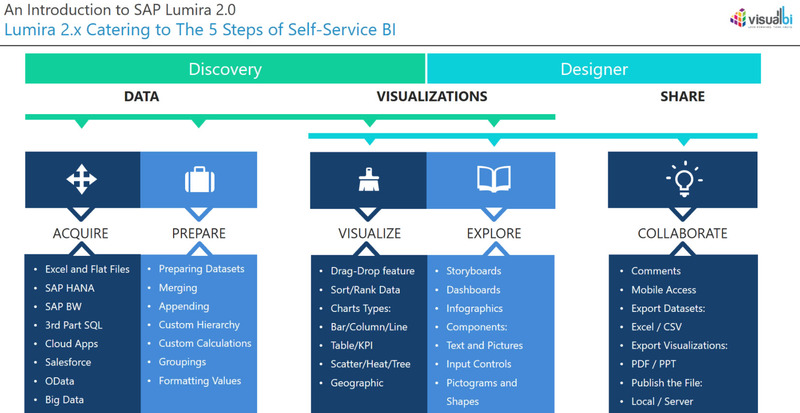 I couldn’t find it at http://visualbi.com/resources/webinars/ in Past Webinars section!